Buy: $16.55 FrogLube Solvent 4 oz 4fl oz bottle. Clean bore and total gun cleaning product. 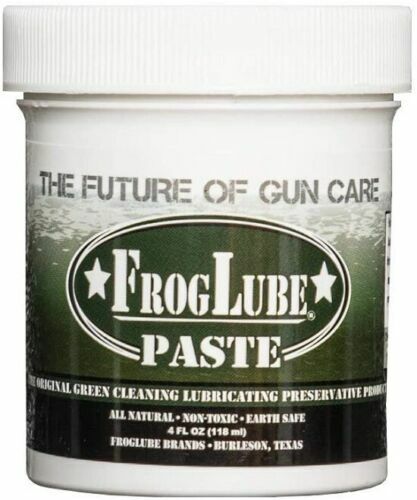 $36.96 FrogLube FrogTube Kit CLP 4 oz Paste 1.5 oz Squeeze Gel 1OZ Liquid Solvent ETC. Buy: $30.44 FrogLube Weapons Care System Pack Contains: 1oz solvent, one tube CLP and brush. Buy: $24.99 FROGLUBE CLP Liquid 4 oz Liquid Bottles (2) PACK! !